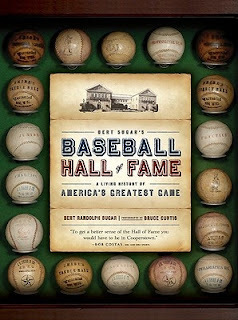 Journey deep into the National Baseball Hall of Fame and Museum with Bert Sugar’s Baseball Hall of Fame book. Enjoy more than 500 color and black-and-white original and archival photographs--along with engaging and informative commentary, and dramatic close-up images of the most fascinating artifacts on display in the Hall. This book offers a quintessential take-home of the timeless experience of baseball's spiritual home. Order your copy of this timeless hardcover book today!